This is one of our favorite salads! It is hearty enough to be a main course but also perfect as a side dish. We follow @NoCrumbsLeft on Instagram and we’re obsessed with her Marinated Red “Counter” Onions. These onions are the perfect secret ingredient to any dish that calls for onions. 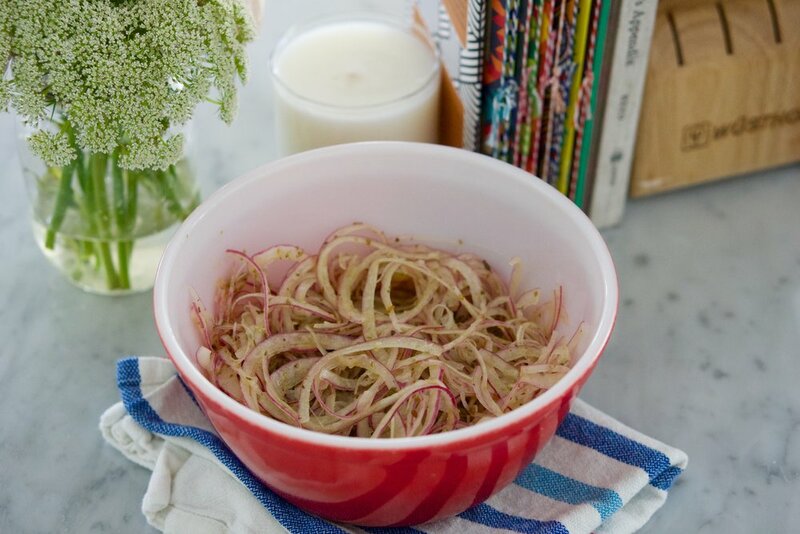 The natural sweetness of the onion really shines and the olive oil they marinate in is perfect for salad dressing! Thinly slice the red onion on a mandolin. Place slices in a bowl. Pour the olive oil and red wine vinegar over. Add oregano. Toss. Cover and let it sit at room temperature for at least an hour before using. These onions only get better with time. They keep for two days on the counter unrefrigerated. Don’t put them in the refrigerator! 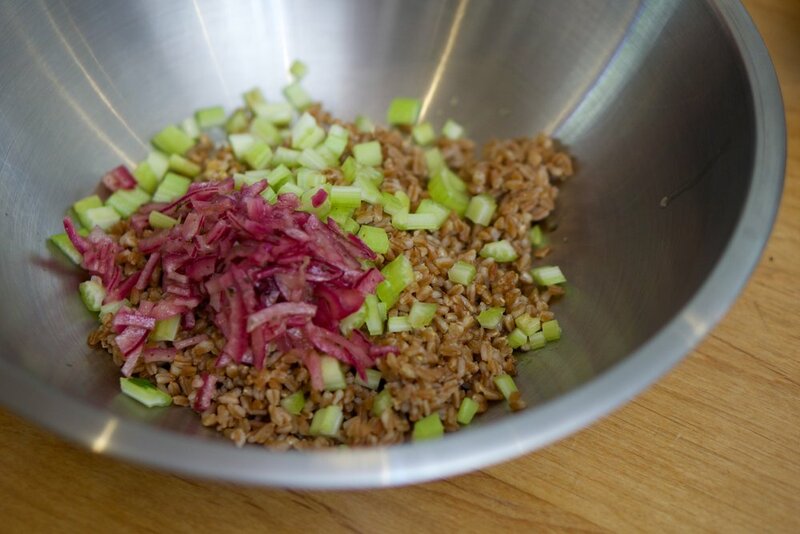 In a bowl toss together the farro, celery, pomogrante seeds, mint, arugula and marinated red onions. In another small bowl whisk together the lemon zest, lemon juice, olive oil, mustard, honey and pepper. Salt to taste. Pour Vinaigrette over the salad and toss. Sprinkle the Pistachio Dukkha over top.